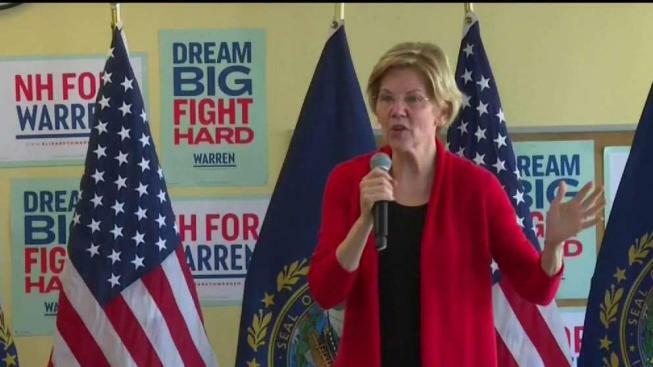 Sen. Elizabeth Warren talked about gun control in Conway, New Hampshire while Sen. Kristen Gillibrand kicked off her campaign outside of Trump Tower in New York City. Sen. Elizabeth Warren told a New Hampshire crowd that the National Rifle Association is holding "Congress hostage'' when it comes to stemming gun violence. Warren focused much of her speech on her approach to economics, but paid special attention to unions Sunday. She said that more power needs to be put back in the hands of workers. Howard Schultz will attend the annual conference of the American Israel Public Affairs Committee on Monday evening. That's according to Schultz aide Erin McPike.